Indian shares fell on Friday, after touching record highs for four straight sessions, dragged down by financials such as State Bank of India and ICICI Bank Ltd.
Shares of State Bank of India fell 4.1 percent after the country's biggest lender by assets reported a bigger-than-expected quarterly loss. The broader NSE Nifty ended 0.36 percent lower at 11,429.50, gaining 0.60 percent for the week. 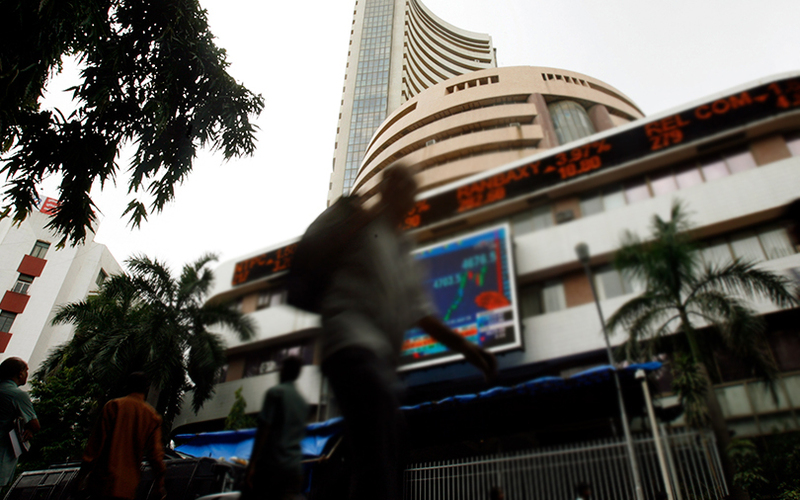 The benchmark BSE Sensex closed down 0.41 percent at 37,869.23, but posted a weekly rise of 0.83 percent.